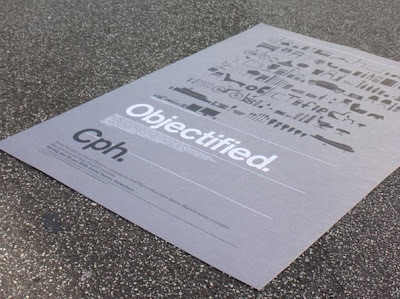 I finally got around to seeing Gary Hustwit's 'Objectified', the second installment in his trilogy on design (his first was the awesome 'Helvetica', which should be required viewing for all design students). Objectified explores the ways in which design affects our lives. Specifically, the design of objects around us. As well as looking at how we critically think about objects, consumerism and branding, the film examines the process of industrial design, and looks at the environment and social costs associated with global manufacturing, planned obsolescence and our need to acquire gadgets and tools. Objectified follows the same structure as Helvetcia - using vérité footage, some clever audio editing, and informative conversations with key figures in industry, and provides a fascinating overview of our relationship with everyday design. The Independent Lens website has a special section about the film, including a look at how it was made, and also includes an amusing quiz -'What Object Are You'. Hustwit doesn't claim to be an expert in graphic or industrial design, just an inquisitive film-maker with a fascination about the way visual communication informs the modern world. As yet he hasn't announced what the final part of his trilogy will be about but it should be worth the wait.